My son Kyle is so happy having PSP as a gift from her aunt. 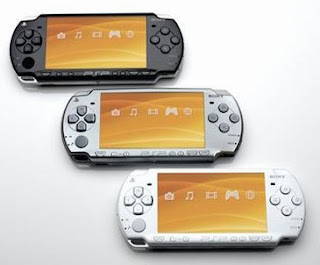 I don’t have enough knowledge about the latest version of PSP so I have to read a lot of forum and reviews about PSP, about the latest upgrades or configurations that could play downloadable games since PSP games are too expensive here. All I need are little tech jobs reading about PSP and now I could have my son play any games he could ever want. I really gained weight. Maybe this could be the effect of what I had eaten during our travel and food trip in the previous holiday season. I am considering an exercise or Lipovox to lose my weight again. I gained maybe 3-5 pounds so hopefully I could lose this weight again. I am not getting any younger now. Although I don’t have cholesterol and sugar problem, it is time to work on how to prevent it. For the past week, I was searching for the cheapest Sony PSP (Portable PlayStation) store online or in any gadget store in the country. If you were able to check the prices outside the country compared to the prices here, you will really see a big difference on it. I don’t have any experience for a moment of buying things online but I am sure if you purchased it from a well known online seller and with good material handling reputation, are guaranteed to receive what ever you have purchased online. I really hate construction companies or any company that is not strict when it comes to safety of their personnel. Every company must have complete and proper safety equipment for their personnel. Aside from that, it is also the company’s obligation as well as the government’s through the local city building and civil engineering departments to inspect these and ensure that construction companies are doing their share of safety measures. I am just worried because I have a cousin working in a Korean ship building company and that company already had multiple accident records. It already incurred casualty and even multiple deaths. Hopefully they could do whatever it takes to insure safety of their personnel.